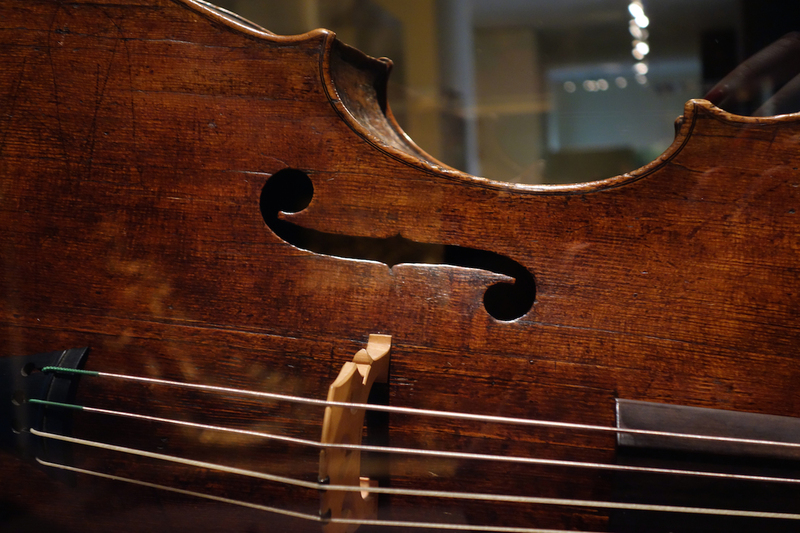 The Metropolitan Museum of Art is hosting a special summer guest: the world’s oldest known cello. 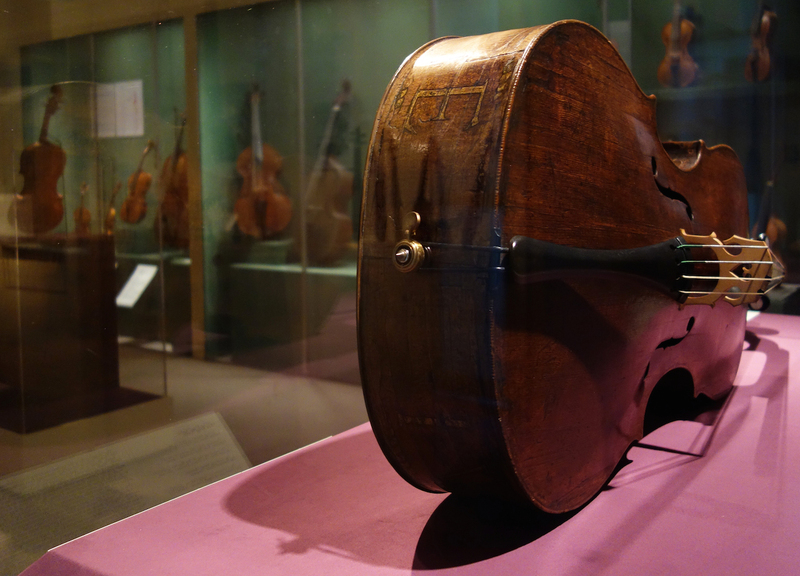 Known as the Amati “King” cello, the 16th-century instrument is on loan from the National Music Museum on the campus of the University of South Dakota. 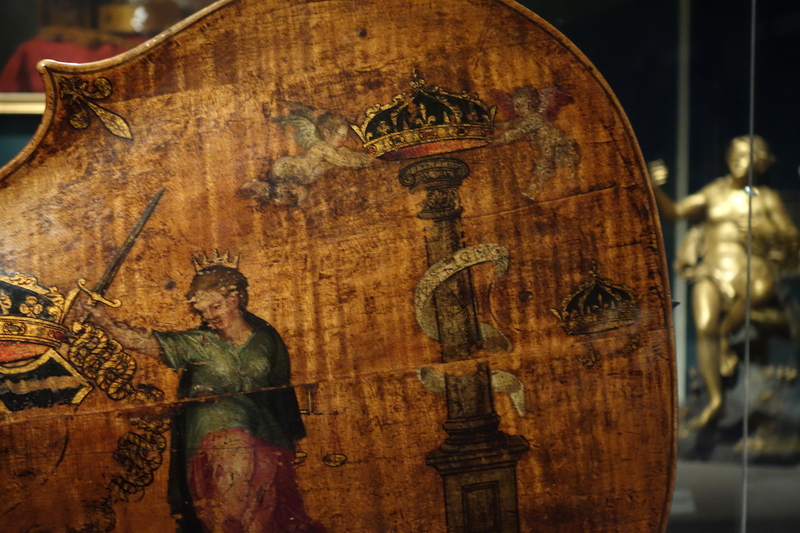 Evidence of the modification is in the neck, which was once perpendicular rather than at an angle for newer high tension strings, and the paintings on the back are misaligned, revealing the alterations. 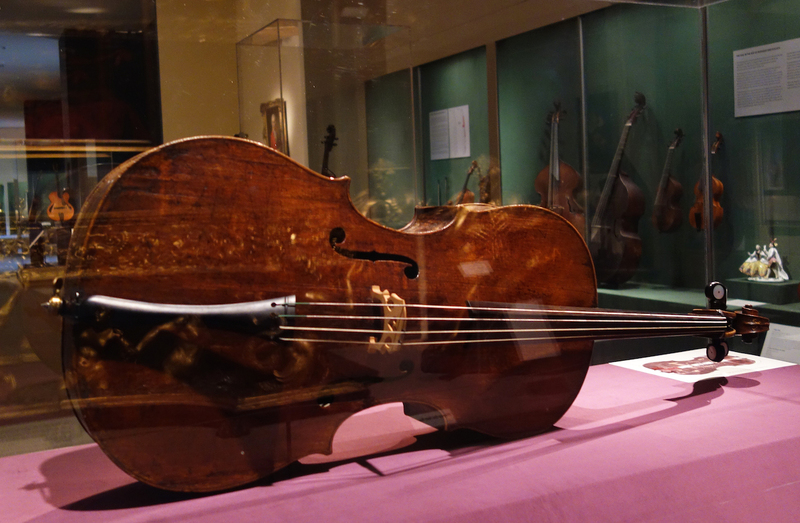 The Met actually has the only violin by Antonio Stradivari restored to its original Baroque design from later alterations, which the museum can use to compare modern and historic sounds. 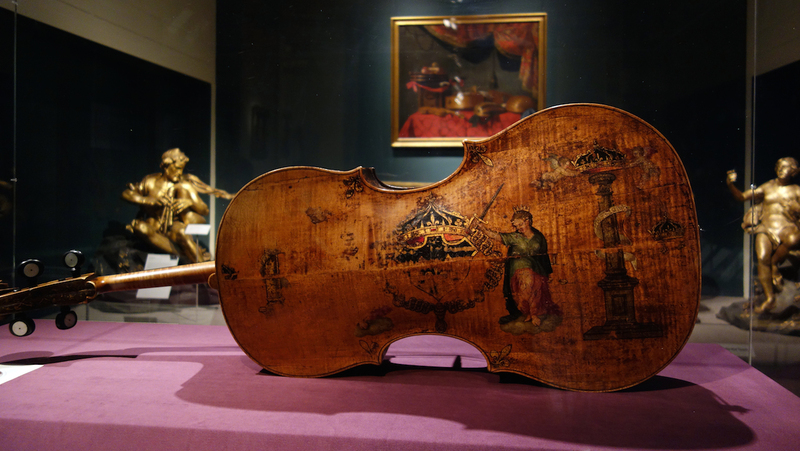 The opportunity to bring the cello from the Vermillion, South Dakota, museum was helped along by Bill Clinton’s star-spangled saxophone. 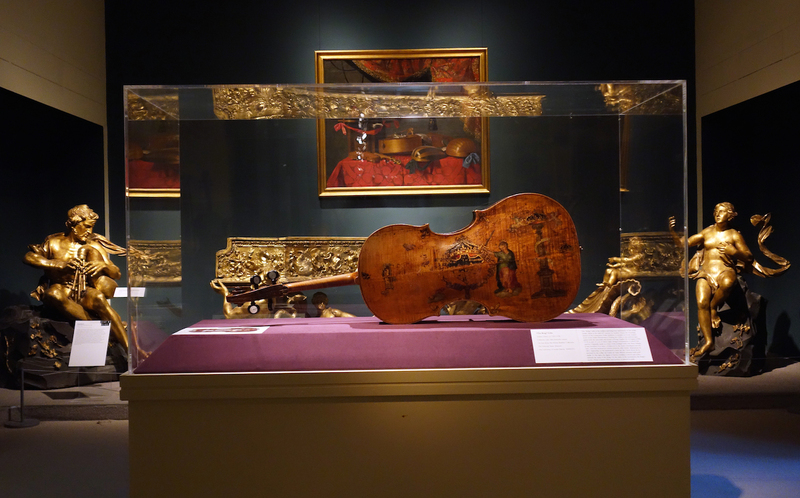 The cello journeyed with the presidential instrument that was already arriving for the Met’s Celebrating Sax: Instruments and Innovation. 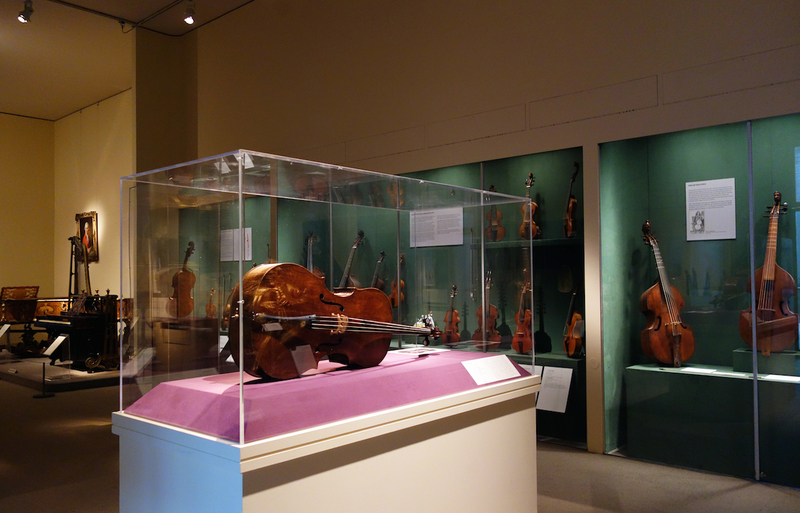 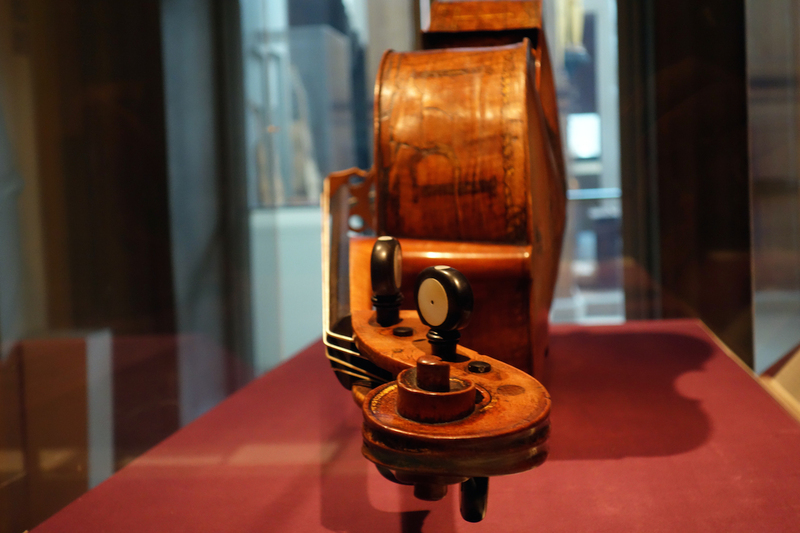 The National Music Museum may be off the beaten path for many museum visitors and music lovers, but through the Met loans some of its rich treasures are reaching a broader audience, and revealing some of the early history of the violin. 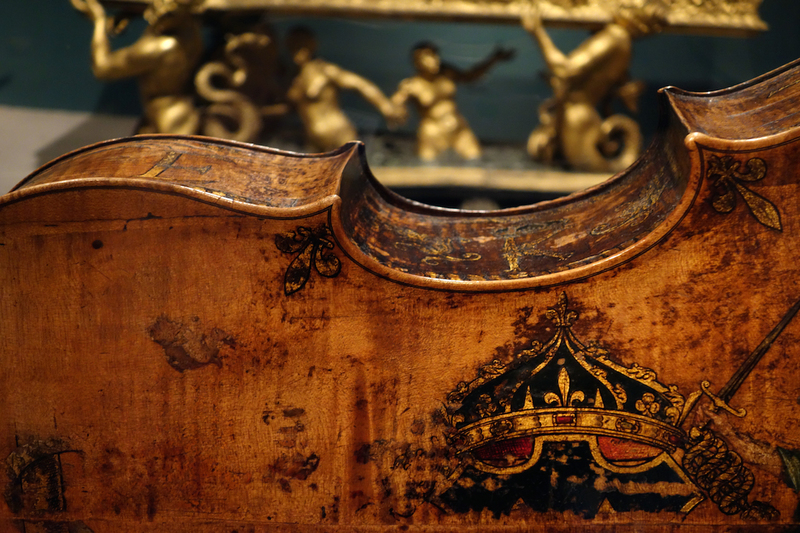 The Amati “King” cello is on view in the André Mertens Galleries for Musical Instruments at the Metropolitan Museum of Art (1000 Fifth Avenue, Upper East Side, Manhattan) through September 8.